This week is National Recycling week (12-18 November) and the City of Swan kicked it off with a Recyclable Goods drop off day last weekend. There was a phenomenal turn out, with containers overflowing with recyclable goods. One of the items the City were accepting was mattresses. Apparently an average mattress consumes 0.75 m3 of space in landfill, and Australians send over 1.25 million mattresses to landfill each year! That’s a lot of space taken up in our landfill sites that could otherwise be recycled. The City of Swan has collected over 11 tonnes of mattresses this year at its Recyclable goods days. 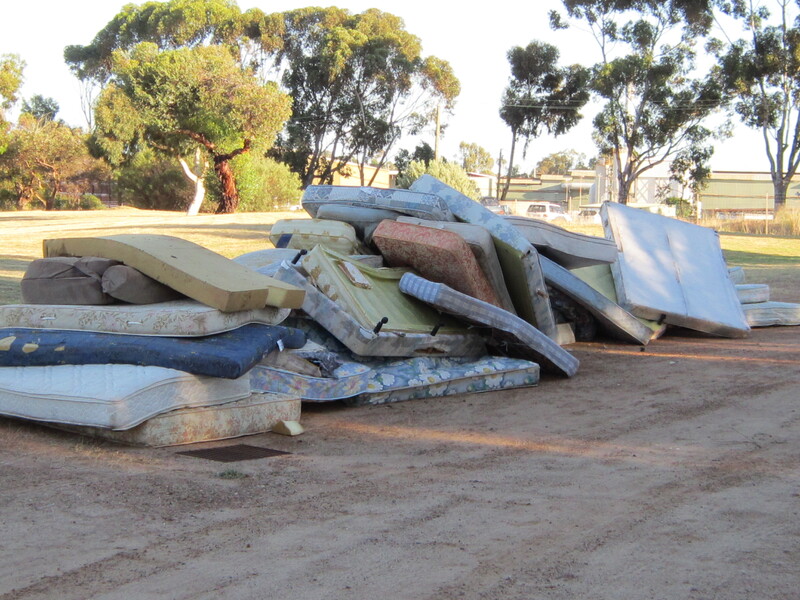 The Eastern Metropolitan Regional Council (EMRC) opened WA’s first Mattress Recycling Facility in 2009 which is located at Lakes Road, Hazelmere. What is recycled from Mattresses? Timber: Timber from bases is recovered and sent to the EMRC’s timber recycling facility where it is processed into a reusable woodchip and used in the manufacture of particleboard, animal bedding and mulch. Springs: Steel springs are sent to scrap metal merchants and melted down into new steel. Foam: The foam and wadding from inside the mattress is reused as carpet underlay. The average mattress contains 12.5 kg of steel, 2 kg of wood and 1.5 kg of foam. So next time you replace your mattress look on the COS website for the next Recyclable Goods Drop Off Day and help our environment! There’s another one in January 2013. 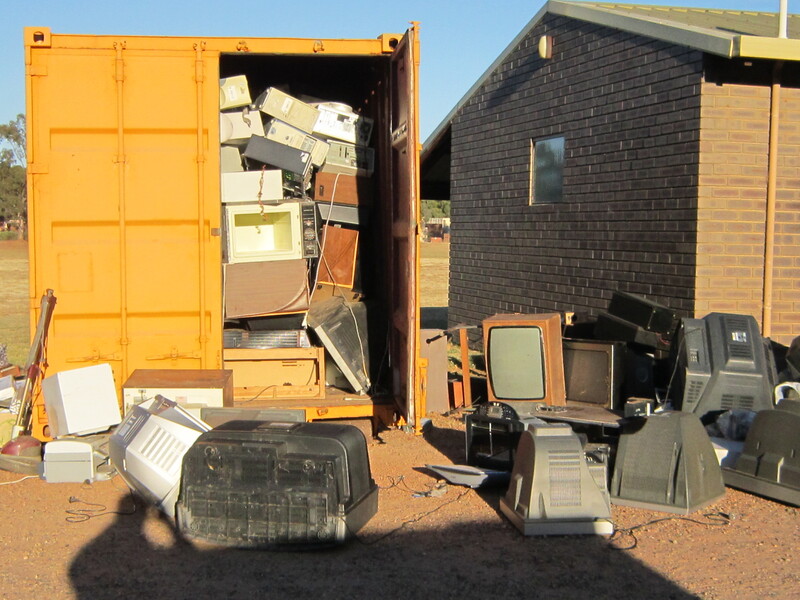 This entry was posted in Waste & Recycling and tagged City of Swan, e-waste, Mattresses, national recycling week, Recyclable goods drop off day. Bookmark the permalink.